Van Go will be bringing hard-edged and bitingly clever power pop songs like “Invisible Girls” and “Your Three Minutes Are Up” to Silvie’s Lounge in Chicago tonight. The band will also be at Red Line Tap on April 24th as part of International Pop Overthrow - Chicago. Pssst! Music On Stage will be performing the musical Hairspray this weekend and next weekend at Cutting Hall in Palatine. When I did my April, Rock She Will post the other day, I should have also mentioned the massive CHIRP Record Fair, (April 11th) which offers vinyl, CDs, and DVDs, along with food vendors and live entertainment; and CIMMFest, (April 16th through 19th) a four-day celebration of music and film. There will be more on those events here on BHT in the near future. The Beatles Magazine is sponsoring a concert tomorrow night at the Epstein Theatre in Liverpool to help place a statue honoring Brian Epstein in his hometown. The campaign’s organizers are also seeking help from fans around the world, and they now have a theme song composed by Bob Pitt and produced by Billy Kinsley of The Merseybeats. Several musicians, including Billy J. Kramer, have signed on to help with the recording of “Our Friend.” See the Statue For Eppy website for information on how to donate. Singer-guitarist Laura Joy has released a video for “Takes A While,” a track from her second EP Between Or Words. There will be a release party at The Hideout next Thursday, March 5th. Alt rock/avant garde band Whitewolfsonicprinces will be performing songs from their two CDs next Wednesday night at The Underground Wonder Bar at 710 N. Clark Street. French garage rockers The Plastiscines started out as teenagers in 2007 and quickly released two albums brimming with catchy and fun tunes. Their more techno-oriented approach in recent years has yielded uneven results, so it’s good to hear them authentically covering The Kinks on a new TV ad for Yves San Laurent’s Touche Eclat makeup that alsofeatures model Cara Delevigne. Of course, there are purists who believe using classic rock songs to sell products is blasphemous, but I’m willing to embrace the Touche Eclat ad if it puts The Plastiscines back on the right track. Selkies Rule! As director Tomm Moore’s animated film Song Of The Sea rakes in positive reviews, Chicago native Linda Marie Smith’s musical tale Mearra - Selkie from the Sea is scheduled to air on local PBS station WYCC at 7:00 PM next Saturday, March 7th. Both efforts are based on traditional Irish tales of magical creatures that have a dual existence as humans and as seals. Smith’s live performance of her album was recorded at the Irish American Heritage Center. There will a free evening of Chicago rock at Cole’s Bar on Milwaukee Avenue on March 20 featuring singer-songwriter Dann Morr, Post Child, and indie rock band Mooner. Before getting to the new Lannie Flowers single, just a quick note that folk singer/musical satirist/author/model car builder Dean Milano will be performing tonight at Mac’s On Slade in Palatine. The music starts at 8:00 PM. It was no surprise when filmmaker Justin Fielding posted on Facebook that he had just done an interview with Lannie Flowers for his upcoming documentary The Power Pop Movie. Over the course of two studio albums and one live album since 2008, Flowers has established himself as a master of power pop. He’s also a veteran of International Pop Overthrow, having performed in a number of cities on the festival’s circuit. His new single “Best I Can” is a catchy, mid-tempo song from the point of view of a guy faced with a relationship dilemma that lies just beneath lines like, “I’ve got to live my life the way I choose ‘cause when you’re in it I can’t lose.” He knows this woman brings out the best in him but suspects she’s a control freak determined to make him follow a regimen for self improvement. “I guess you need less of the humdrum and more of the romance” he concludes but his insistence that he’s doing the best he can rings a little false and also kind of funny. This celebration of not being perfect is set to a guitar-based arrangement with a hint of Tom Petty, along with an almost classical interlude with piano and strings. The more hard-edged B-Side is a faithful cover of Big Star’s “Back Of A Car,” in which Flowers is backed by some solid harmony vocals from his band members. This particular take on the Alex Chilton/Andy Hummel gem first appeared on Lannie Flowers Live In NYC, an impressive collection of songs that were recorded at the Trash Bar in Brooklyn about a month after the devastation of Hurricane Sandy. 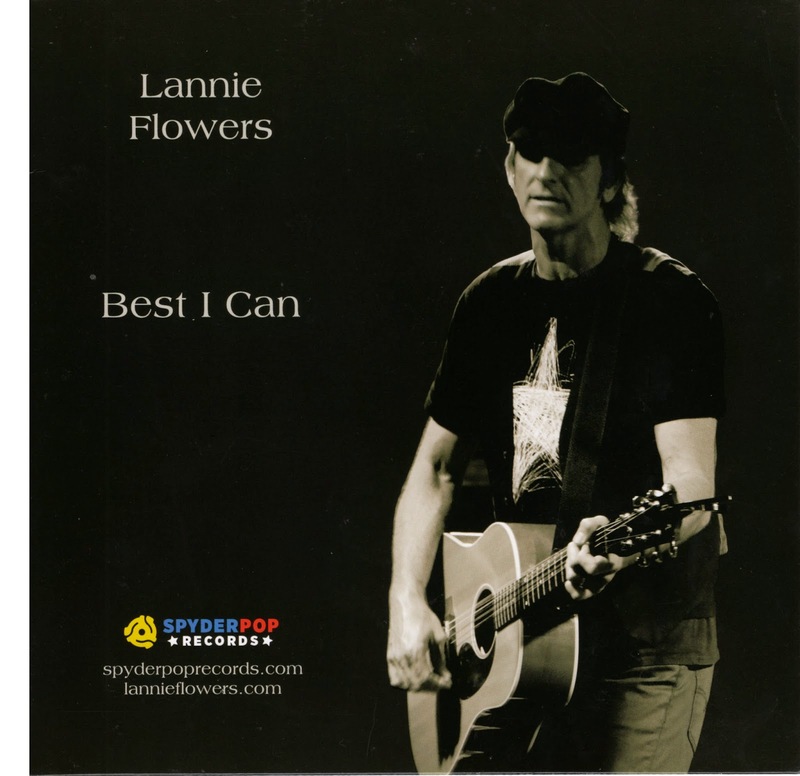 Lannie Flowers will be performing at The Red Line Tap in Chicago on April 25th as part of the final night of International Pop Overthrow - Chicago. April doesn’t arrive for another 34 days but since that month is like the holiday season here at Broken Hearted Toy, it warrants some advance planning. International Pop Overthrow runs from April 16th through the 25th in Chicago at the Red Line Tap, and Record Store Day, which involves several area stores and at least a few live performances, takes place on April 18th. Which means some tough decisions will have to be made. Plus, the second volume of journalist Ken Sharp’s Play On! 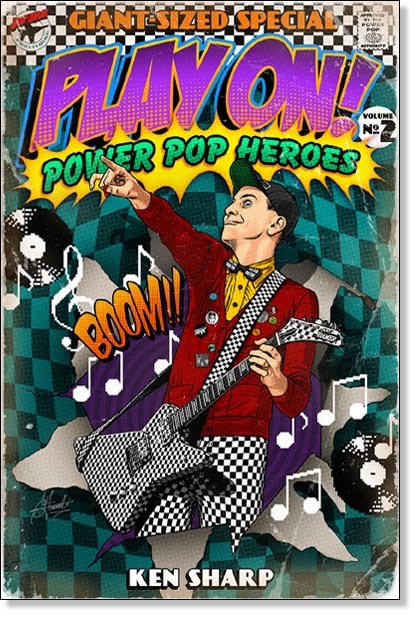 Power Pop Heroes is scheduled to be shipped in late April for those who order it by March 31st. There will be more extensive coverage on BHT as these events get closer, but in the meantime, here’s a brief preview of each. Over 70 bands will take the stage during International Pop Overthrow’s 2015 run at Red Line Tap; including veterans like Jeremy, The Abbeys, The Webstirs, The Right Tidys, Dave Rave, The Red Plastic Buddha, The Luck Of Eden Hall, The Romeros, The Viaducts, Van Go, Larry O. Dean, The Pralines, and Lannie Flowers. Generally, the weekend showcases feature six acts each, while the week night showcases have five. Admission for each showcase is $10. The international phenomenon Record Store Day will return for its eighth year on April 18th. The event’s official website has yet to offer a comprehensive list of all the one-of-kind releases that will become available for just that one day, but it does have an inspiring message from Record Store Day Ambassador Dave Grohl. The Nirvana/Foo Fighters musician promises he’ll bring a slab of rare vinyl right to the front door to anyone who wants him to do that. Actually, he reminisces about his favorite record store in Springfield, Virginia when he was growing up. In addition to the collectibles for sale, Record Store Day is also a time when places like Laurie’s Planet Of Sound, Val’s Halla, Vintage Vinyl, and Reckless Records feature live performances by local bands. This year, Purple Dog Records in Naperville is hoping to stage a concert at the nearby Orazio Pub. In Play On! Power Pop Heroes - Vol.1, noted rock critic Ken Sharp compiled a fascinating collection of interviews with musicians he viewed as “progenitors” of the power pop genre. Musicians from bands like that arrived in the 1960s or ‘70s, and whose music still resonates decades later. With Vol. 2, Sharp moves on to artists “who built the genre’s foundation.” Sharp revealed yesterday that a colorful portrait of Rick Nielsen by artist Christopher Franchi will grace the cover of this 750-page book, which includes interviews with members of Cheap Trick, Shoes, Squeeze, XTC, The Posies, Pezband, The Records, and other bands. Nielsen looks pretty much the same on the cover as he did at the University of Illinois at Chicago where he flipped a guitar pick into my left eye while performing in the school’s cafeteria on a Saturday night back in the 1970s. Those who order Play On! Power Pop Heroes - Vol. 2 by March 31st will also receive over 90 tracks of rare live performances from some of the artists featured in the book. Note: the first volume in this series quickly sold out and is no longer available. Faced with the enormous challenge of competing with the songwriting tandem of John Lennon and Paul McCartney, George Harrison still succeeded in placing his music alongside theirs on The Beatles’ albums. From there, he went on to a highly successful solo career that probably surprised everyone but himself. So let’s all raise a cup of tea in honor of his determination and achievements, as well as his search for love and peace on earth. Today marks the first half of the two-day Celebration of George Harrison’s 72nd Birthday on Facebook. Fans are being asked to post tributes and memories of him. 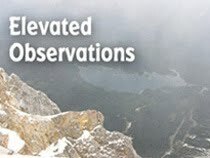 They can also check out video clips, photos, and inspiring art. Over 1,000 people have agreed to join in the fun, including radio personality John Rose, an expert on 1960s music and beyond. 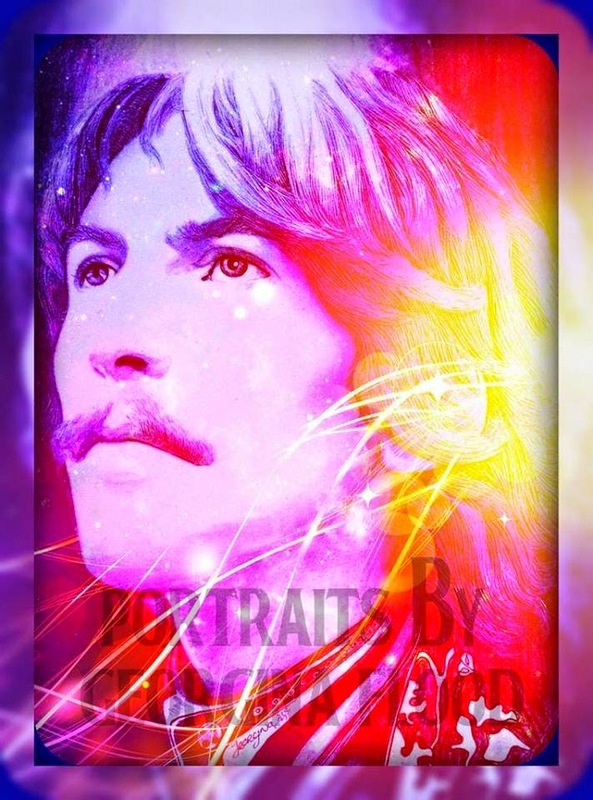 Elsewhere on Facebook, the Remembering George 1943 - 2001 page features terrific portraits by Beatles (and other celebrities) artist Georgina Flood as well as video clips and photos that capture Harrison’s wry sense of humor. Musicians Christopher Zajkowski, Jimmy Brown, and Graham Elvis; rock photographer Lori Mikolon; rock journalist Kevin Toelle; and my longtime friend and rock expert Cindy Drozd are among the 56,335 people who have given this page a Like. As mentioned here last Friday, there’s also going to be a George Harrison 71st Birthday Celebration tomorrow, February 25th in front of Capitol Records in Hollywood. Guests are encouraged to bring flowers and candles to decorate Harrison’s star on the Walk Of Fame. The Bishop's Daredevil Stunt Club will be performing at The Abbey Pub on Thursday, February 26th, along with Crybaby, Po Boy Special, and The Shakin' Moneymakers. There’s a Throwback Thursday event at the Double Door on the 26th that will feature bands covering four completely different acts. Software Giant will pay homage to Faith No More; The Lucky Dutch are covering Led Zeppelin; the Geoff Dolce Group will bring The Pixies to life; and Phil Angotti, Eric Chial, Mike Zelenko, and Brian Stout will take flight as The Byrds. The Abbeys, one of Chicago’s longest-running and best power pop bands, will be performing tonight at 27 Live in Evanston. 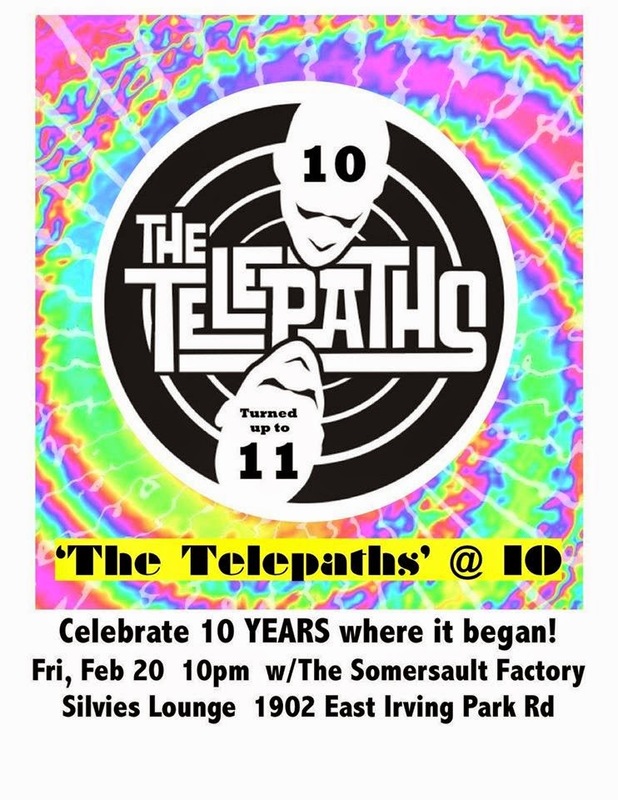 Congratulations to The Telepaths, who will be celebrating their 10th Anniversary tonight by performing at Silvie’s Lounge, the venue they played on their very first gig. The show starts at 10:00 PM. Beatles fans will be gathering next Wednesday, February 25th in front of Capitol Records in Hollywood for a George Harrison 71st Birthday Celebration. Guests are encouraged to bring flowers and candles to decorate Harrison’s star on the Walk Of Fame. Chris Carter, who hosts the Breakfast With The Beatles radio program in Los Angeles, will serve as host, and there will be an open mic. Here in Chicago, Terri Hemmert will be throwing a George Harrison Birthday Bash on her Breakfast With The Beatles show on WXRT this Sunday morning from 8:00 AM to 10 AM. On the night before. There’s bound to be a George song or two when Phil Angotti and Jay Goeppner, AKA The Beatles Brothers, perform at Colleti’s in Chicago tomorrow night, February 21st. These guys have been performing together for over 25 years. Signal Ensemble Theatre has an added incentive for people to check out their production of Brett Neveu’s Red Bud tomorrow night, February 21st. The critically acclaimed playwright, who has had several hits on the Chicago theatre scene, will be on hand for a Questions and Answers session with audience members after the show. The Bishop’s Daredevil Stunt Club, whose fun and catchy holiday single “Bad Sweater Christmas Party” was reviewed here last December 17th, will be performing at The Abbey Pub next Thursday, February 26th, along with Crybaby, Po Boy Special, and The Shakin’ Moneymakers. There’s more to The Bishop’s Daredevil Stunt Club than novelty songs, as evidenced by the B-side of that holiday single—a catchy tune called “Never Be Big Stars” that evokes Cheap Trick. There are just a couple days left to support the Mary-Arrchie Theatre’s IndieGoGo funding campaign for its upcoming production of Douglas Maxwell’s Our Bad Magnet. The money raised will go toward paying those involved with the production. Reaching that goal would certainly add to the celebratory mood of director Carlo Lorenzo Garcia’s birthday party on Sunday. Our Bad Magnet will run at Mary-Arrchie from March 26th through April 26th. Throwback Thursday: It’s not just for Facebook anymore. The Double Door on Milwaukee Avenue is hosting an eclectic Throwback Thursday event on February 26th that will feature bands covering The Byrds, The Pixies, Led Zeppelin, and Faith No More. The official Facebook page attributes the Faith No More tribute to “Software Giant, oh my god,” and I’m not sure if that means two bands or that the person who created the page is really impressed with Software Giant. The Lucky Dutch are covering Led Zeppelin and the Geoff Dolce Group will bring The Pixies to life. Singer-guitarist Phil Angotti, who has tribute shows running through his veins; Eric Chial from The Bob Mots and Penthouse Sweets; Mike Zelenko from Material Issue; and Brian Stout will take flight as The Byrds. Music On Stage will be performing the musical Hairspray tomorrow and Sunday at Cutting Hall in Palatine. Their production will run on weekends through March 8th. Singer-guitarist Laura Joy has released a video for “Takes A While,” a track from her second EP Between Or Words. There will be a release party at The Hideout on Thursday, March 5th. Now that the world knows who is on the cover of this year’s Sports Illustrated’s Swimsuit Issue, speculation has turned to which musician will grace the cover of author Ken Sharp’s Power Pop Heroes - Vol. 2 book. The first installment of Sharp’s trilogy devoted to the origins and highlights of the genre sported an illustrated Pete Townshend in full windmill. Since Vol. 2 will have a 37 page interview with Shoes, there could very well be an acrobatic Gary Klebe or one of the Murphy brothers on the cover. 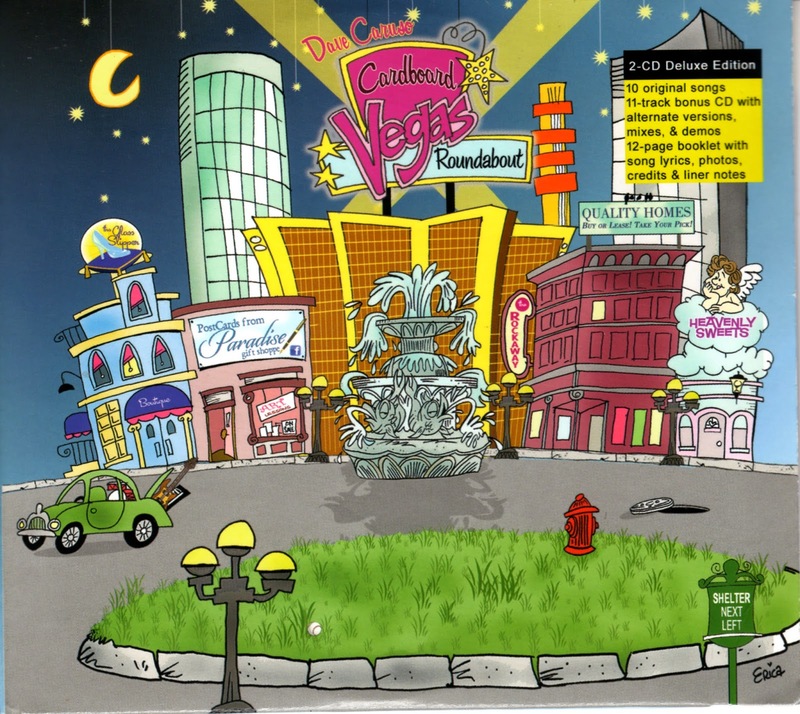 Other acts (and possible cover models) featured in Vol. 2 include Cheap Trick, Pezband, The Records, XTC, Squeeze, Dwight Twilley, and The Ramones. Also on the power pop front, Boston-based filmmaker Justin Fielding’s work on The Power Pop Movie continues despite the mountains of snow that currently cover his hometown. He’s been posting on Facebook about the interviews he has conducted, which include iconic writer Ira Robbins of Trouser Press magazine. International Pop Overthrow kicks off its 2015 season on March 6th and 7th at the Cactus Jack venue in Phoenix. Two Chicagoans—Phil Angotti and Tommi Zender—will be on the schedule; along with Lemon Krayola, Carol Pacey and The Honey Shakers, Action Jets, and seven other acts. But no Dave Rave?! IPO moves on to Detroit from April 2nd through the 4th, and later, it stops in Nashville from April 30th through May 2nd. Dave Rave will perform in both of those cities. Chicago - IPO will fall somewhere between Detroit and Nashville but that schedule hasn’t been officially announced yet. I do know from Facebook posts that Larry O. Dean is doing a solo show on April 23rd and The Romeros are performing on April 25th. Both shows are at the Red Line Tap. I just received a promo disc for Strange Fruit And Veg, the latest mind-blowing collection of various artists from the UK vinyl-only label Fruits de Mer. There’s a mix of original music and eclectic cover versions recorded by current psych and prog bands within these 18 tracks. The highlights include Trojan Horse doing Crosby, Stills, Nash and Young’s “Ohio”; Rob Gould’s take on “Tomorrow Never Knows” by The Beatles; The Crawlin Hex doing the classic “Who Do You Love?” and Vert:x performing “Circles” by Hawkwind. I’ll be doing a full review of Strange Fruit and Veg in the near future. 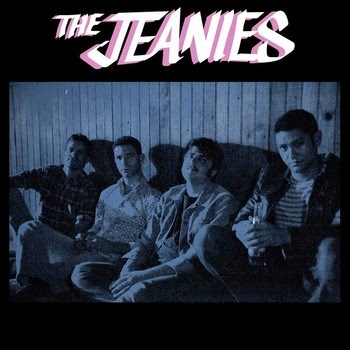 The Jeanies offer muscle-bound variations of power pop on this self-titled debut; supporting strong melodies with guitar-driven arrangements. It’s hard to miss the Tom Petty and Raspberries influences that appear from time to time, but lead vocalist-guitarist and main songwriter Joey Farber never settles for merely copying his heroes. There’s also a willingness to experiment that shows these Brooklyn-based guys have no shortage of confidence. I worked 30 hours on a freelance proofreading assignment at an ad agency this past weekend, and I have say it was ...exhilarating! Glad to help out a favorite client and great to be doing the work I love. But it did wipe my Valentine’s Day dinner with Pam (at least she had cupcakes ready when I came home at 11:30 PM) and any chance of doing a Slumgullion, Saturday Slumgullion or Sunday Papers post. So here are a few items of interest. Sleater-Kinney will be performing at the Riviera Theatre in Chicago tomorrow night, February 17th. The highly influential trio has received a hearty welcome from fans and critics for its new CD No Cities To Love. So I missed Saturday Night Live’s entire three and a half hour 40th Anniversary special on NBC last night. Fans got to see famous former cast members performing in new skits as part of the festivities. Chris Rock, Will Ferrell, Eddie Murphy, Bill Murray, Martin Short, Mike Myers, Dana Carvey, and Jane Curtin were just a few of comedians who were on hand, along with special guests like Paul McCartney, Paul Simon, Steve Martin, Emma Stone, and Kerry Washington. Congratulations to all those involved with SNL, especially the many performers and writers who learned their craft in Chicago. I’m sad to learn that Lesley Gore has died from cancer. She was 68. As Little Steven pointed out on his Underground Garage syndicated radio show, she was ahead of her time when it came to songs like "You Don’t Own Me." She may not have written it, but she really put the message across. Here’s a link to a heartfelt tribute crafted by Joe Marchese on the always classy Second Disc website. As revealed by rock critic Greg Kot in the Chicago Tribune, Wilco will headline the opening night of this year’s Pitchfork Music Festival on July 17th. Other acts scheduled to perform during the three-day event are Sleater-Kinney, Jessica Pratt, and New Pornographers. Wild Honey has another all-star Beatles tribute coming up in California to benefit the Autism Think Tank. 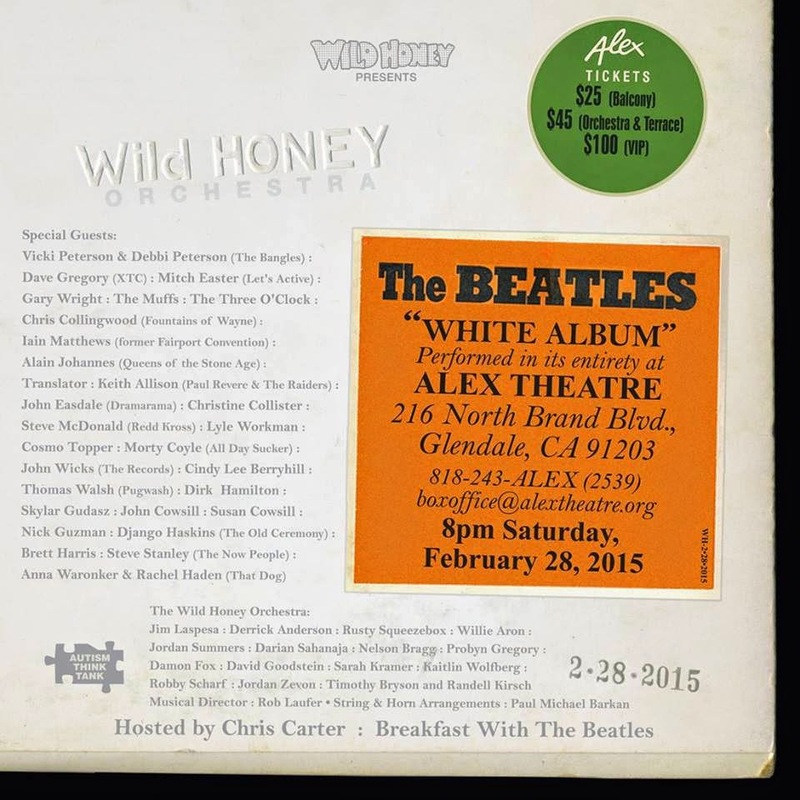 Several power pop and indie rock musicians will gather to play the entire White Album on February 28th at the Alex Theatre in Glendale. Chris Carter, who hosts the Breakfast With The Beatles Show on KLOS in Los Angeles, will serve as host, and the participants include Vicki and Debbi Peterson of The Bangles; Mitch Easter of Let’s Active; Gary Wright; The Muffs; The Three O’Clock; Chris Collingwood of Fountains Of Wayne; Translator; John Wicks from The Records; John Cowsill; Susan Cowsill; and Dave Gregory from XTC. Ticket prices are $25 for balcony; $45 for orchestra and terrace, and $100 for VIP. Wild Honey is seeking donations on the gofundme site to help with the cost of artist travel and rehearsal expenses. In 2014, their Revolver/Abbey Road and Big Star 3rd tributes raised over $43,000 for the Autism Think Tank and $11,500 for the Children’s Music Fund. And as I’ve said about these Wild Honey events before; I wish they would bring these performers to Chicago and other cities. Now that AC/DC has been slated for a gig at Wrigley Field on September 15th, someone is bound to refer to Clark and Addison streets as Highways To Hell. Actually, Cubs fans have been calling them that for decades. Oh, and by the way: This is post number 1,500 for Broken Hearted Toy. I’m offering a few items tonight that would have been in tomorrow’s Slumgullion because I’m about to embark on an unpredictable freelance assignment. Boogaloo backwards down Broadway. There will be an evening of show stopping gender swapping in Elgin tomorrow night (February 13th) as Side Street Studio Arts, presents Backwards Broadway. The fundraising event will give actors an opportunity to belt out tunes usually reserved for females, while actresses interpret songs traditionally delivered from a guy’s point of view. Tickets are a $10 suggested donation. Proceeds will benefit Youth Outlook, an organization dedicated to supporting gay, lesbian, bisexual, and transgender adolescents. Working for a heart-shaped weekend. Fans of melodic rock songs that topped the charts in the 1980s might want to spend Valentine’s Day with Loverboy and The Romantics at The Arcada Theatre in St. Charles Saturday night. 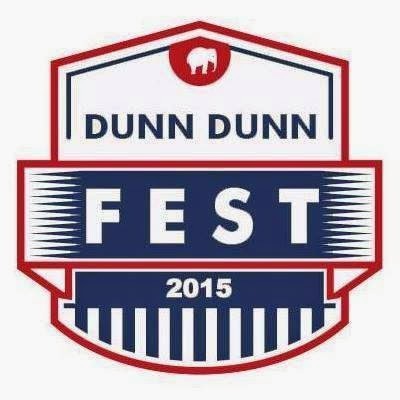 Tickets are $39 and are available on the venue’s website. Wizard World Comic Con usually draws hordes of sci-fi, horror, and comic fans to the Donald E. Stephens Center in mid-August each year, but there’s a sort of bonus event coming up on the weekend of March 7th & 8th. Karen Gillan from Doctor Who, Selfie, and Guardians Of Galaxy; and Lee Arenberg from the Once Upon A Time TV series and The Pirates Of The Caribbean movies are the headliners for the very first Fan Fest Chicago. Two-day tickets are $30 and one-day tickets are $15; with additional charges for Autographs and Photo Ops. Not sure if you’re supposed to come in costume for this one. 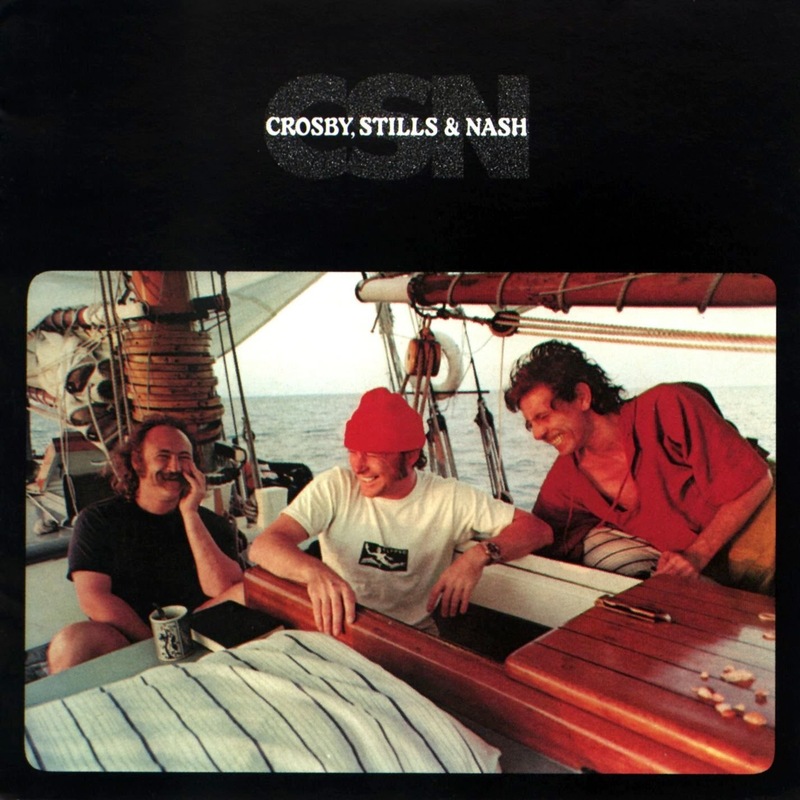 As mentioned here yesterday, Crosby, Stills and Nash plan to perform three concerts during an Eastbound Transatlantic cruise on the Queen Mary 2 next fall. Journalist Mary Forgione mentioned the cruise, which will run from September 4th through the 11th, in the Travel section of last Sunday’s Chicago Tribune. Other performers have gone the cruise route, including the all-woman Celtic band Cherish The Ladies. Vocalist/penny whistle player/founding member Joannie Madden will host a Folk’ Irish Cruise featuring numerous acts on May 16th through the 23rd. In other Cherish The Ladies news, the quintet will be marking its 30th Anniversary with a series of concerts this year. The one at Symphony Space in New York on March 3rd will be a special reunion show that brings back past members like Aoiffe Clancy, Deirdre Connolly, Liz Carroll, and Donna Long. I’m not sure if I should mention this, but Ms. Clancy, whom I’ve seen perform with CTL a few occasions, was partly the inspiration for a character in one of my Middle Grade novels. According to a short piece by Mary Forgione in the Travel section of last Sunday’s Chicago Tribune, Crosby, Stills and Nash will perform a trio of concerts during an Eastbound Transatlantic cruise on the Queen Mary 2 next September. Reflecting the band’s American/English roots, the trip will kick off from New York and arrive at its destination in London a week later. Unlike wooden ships, the cost of sailing aboard the Queen Mary 2 won’t be very free. Forgione notes that prices start at $1,449. The first Elgin Literary Festival, affectionately known as ELF, kicked off tonight with an open mic at Blue Box Cafe. The fun will continue throughout this weekend at Blue Box, Martini Room, The Elgin Public House, Solo Restaurant and Wine Bar, Next Door Theatre, Side Street Studio Arts, and other locations in Elgin’s downtown area. 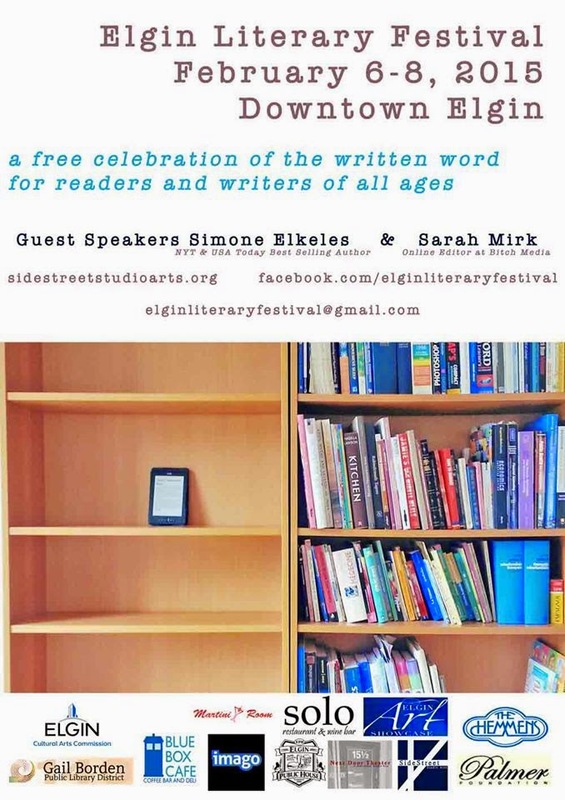 Kym Brunner, Cherie Colyer, and Katie Sparks from the writers group I belong to will be among the many authors taking part in panel discussions and giving presentations. The Neverly Brothers will bring their entertaining and informative showcase of 1950s and 1960s hits to Durty Nellie’s in Palatine tomorrow night. The Arcada in St. Charles has borrowed Cupid’s bow and arrow and is aiming to entice 1980s rock fans with a Valentine’s Day double bill of Loverboy and The Romantics. And since Valentine’s Day falls on a Saturday this year, it’s a perfect date night. One if by land, two if by eBay. The Chicago Tribune recently ran a feature story by Randy Lewis with the intriguing headline, “Rare British Invasion photos to hit eBay.” The previously unpublished shots of The Rolling Stones and The Beatles were taken by Bob Bonis from 1964 to 1966. Bonis served as the road manager for both groups and kept these photographs to himself for several years afterward. He passed away in 1992, and some of his work has surfaced in Larry Marion’s books The Lost Photographs of The Rolling Stones and The Lost Photographs of The Beatles. A few were exhibited at the Hollywood Bowl as part of a 50th Anniversary celebration of The Beatles performing there. The photographs will be auctioned on eBay in small batches over the next few years in various sizes, with starting prices ranging $165 through $625. The Tribune noted that 10% of the proceeds will benefit The Grammy Museum (the same people who created The British Invasion: How Beat Groups Conquered America exhibition currently on loan to the Beatles Story museum in Liverpool). Bonis had 5,000 photos in his collection, with over half being of The Rolling Stones. There were 800 of The Beatles. He also took pics of Cream, Simon and Garfunkel, The Lovin’ Spoonful, and The Hollies. No word on whether those photos will be up for sale. The highly influential Sleater-Kinney has received a hearty welcome from fans and critics since reuniting a while back. Their new CD No Cities To Love is out, and they’ll be at the The Riviera Theatre in Chicago February 17th. Peter Asher; Chad And Jeremy; Billy J. Kramer; Mike Pender’s Searchers; Denny Laine of The Moody Blues and Wings; and Terry Sylvester of The Hollies will mix with audience members and sign merchandise following performances on select dates of The British Invasion 2015 Tour. The City Winery show in Chicago on March 7th is among those dates. Ringo Starr’s next release Postcards From Paradise is now available for pre-order on Amazon. 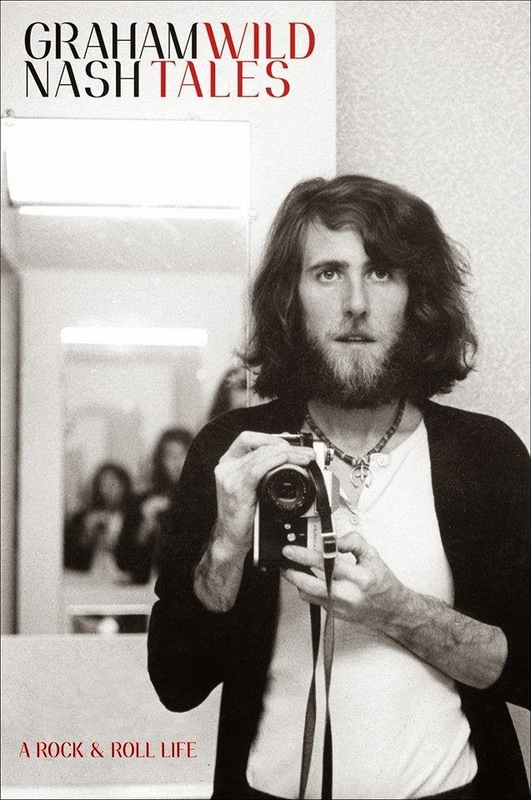 Graham Nash’s photography exhibit My Life Through My Lens has been extended at the Mumm Napa winery in Rutherford, CA. Genevieve Schatz from the Chicago-based band Company Of Thieves has embarked on solo career, performing under her first name. She’ll be at Schubas on February 20th. A word of thanks to Veronica Rundell for giving a shout out to Broken Hearted Toy on her V’s Reads blog. Rundell reads books the way some people eat potato chips, and as someone who’s a member of the same writers group as her, I can attest that she knows the publishing industry inside and out. Especially when it comes to YA and children’s books. She’s an astute critic and always supportive of her fellow writers. We’ve been eating folks all summer long. The Portland quartet Summer Cannibals has released the single “Something New” from its second album Show Us Your Mind, which comes out March 3rd. It’s a catchy, garage rock number reminiscent of Palmyra Delran and Amy Gore, as well as Patti Smith, who recorded a song called “Summer Cannibals” in the 1990s. Side Street Studio Arts, the people who are constantly dreaming up unusual fun in Elgin, will present Backwards Broadway next Friday Night. It’s a fundraising event in which men sing tunes usually done by women and vice versa. Proceeds will benefit Youth Outlook, an organization dedicated to supporting gay, lesbian, bisexual, and transgender adolescents. Aside from the Chicago-based quartet Pelican, it’s hard to think of many bands these days that only play instrumentals. 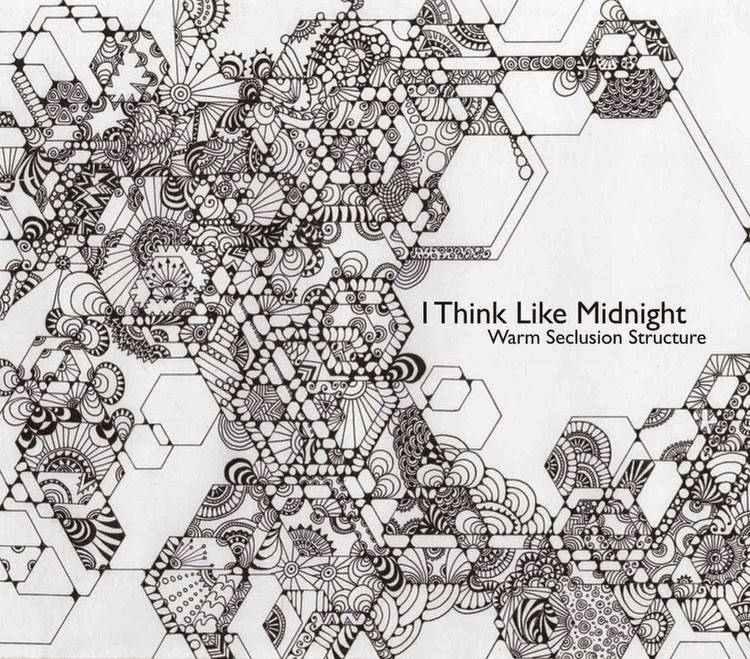 With the release of their debut Warm Seclusion Structure, the oddly named I Think Like Midnight immediately prove they’re capable of creating compelling songs without singing. The imaginative mix of guitars and keyboards throughout this album tends toward alt rock, but there are also some appealing acoustic moments and hints of jazz. The mid-tempo “They’re Calling For Possible Storms” and the energetic “Everyone Has A Silver Car” find I Think Like Midnight weaving intriguing textures within strong melodies. 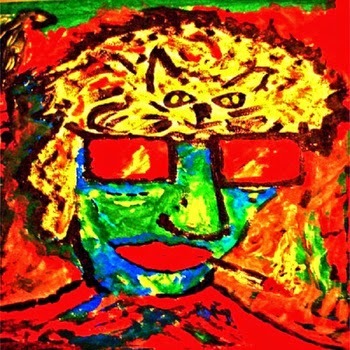 “Swiss Voltage” has an easygoing acoustic vibe, but there’s a mysterious undercurrent of mumbled voices and odd synthesizer bits and pieces. “Maiden Names” is an engaging blend of lighter guitars and keyboards playing but the reflective “Dulce de Leche” is the only track that feels more like an interlude than an actual song. I Think Like Midnight are at their most impressive while mixing modern indie rock with a nocturnal new wave ambience on the energetic and infectious “Frictionless” and “Ground Effect Aircraft.” These two songs are prime examples of why this Philadelphia-based band’s approach works so well. Another highlight is “Block Captain,” which sets acoustic and electric guitars to a fun and driving beat. If you’ve read Graham Nash’s autobiography Wild Tales or Ken Sharp’s interview with him in the limited-edition book Play On! Power Pop Heroes, you know he enjoys sharing entertaining anecdotes about his life. I experienced that first hand when I interviewed Nash for the Illinois Entertainer in 2009. He comes across like a guy hanging out with his mates in a pub, and occasionally the way he remembers something isn’t quite the same as the way Stephen Stills, David Crosby, or his fellow band mates in The Hollies, Allan Clarke and Tony Hicks remember it. Who can really say for sure at this point? All I know is that the way he described how the idea for “To The Last Whale” came to him will always be one of my favorite moments in all the centuries I’ve been writing about rock and roll. On a related note, yesterday’s edition of the Sunday Morning Coffee With Jeff internet show included a rerun of the first episode of the Manchester Gallery series my wife Pam and I created for its host and creator Jeff Kelley. In the premiere, I showcased the Graham Nash puppet I had custom made by an artist I saw at The Wells Street Art Fair, and fabricated a back story of how it was lovingly crafted by an English schoolgirl/Hollies fan named Jennifer Eccles back in the mid-1960s. I would go on to create 21 episodes of Manchester Gallery for Sunday Morning Coffee With Jeff, and the Graham Nash puppet returned in the finale. Graham Nash will be coming to Chicago on May 5th and 6th for a pair of Crosby, Stills and Nash shows at the Chicago Theatre. As I mentioned in a recent Slumgullion post, hope Nash will take the opportunity to schedule a book signing for Wild Tales while he’s in town. It would be a kick to see him sharing those anecdotes in person.